All-Union scientific research Institute of chemical means of plant protection was established by order of the state Committee of the Council of Ministers of the USSR on the chemistry of 29 September 1962 on the basis of the division of insectofungicides NIUIF (Scientific Institute for fertilizers and insectofungicides). This decision was based on the decisions of the XXI and XXII congresses of the CPSU on the development of chemical industries, in particular the branch of science in the field of fertilizers and chemical plant protection products for agriculture of the USSR with the aim of creating new, more effective pesticides. In the end, VNIIKHSZR became the coordinating structure for research papers in the field of pesticides in the system of the chemical industry. 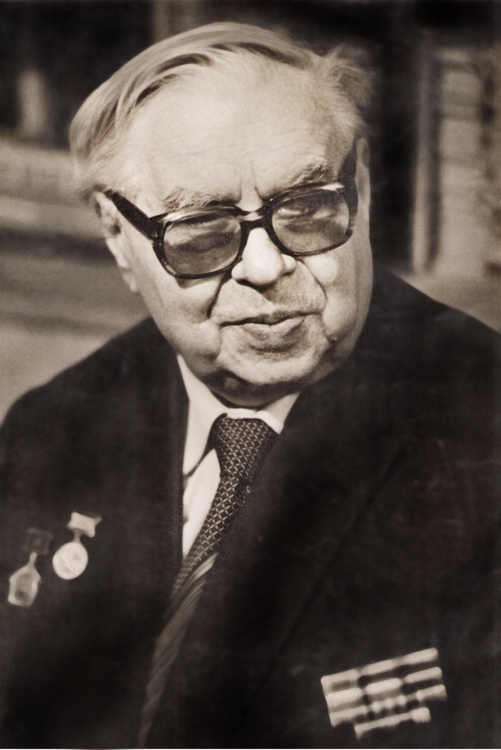 From the beginning of the new Institute, its research team was headed by the outstanding Soviet scientist-chemist, corresponding member of the USSR Academy of Sciences Nikolai Melnikov (1908 – 2000), founder of the national school of chemistry of pesticides and one of the founders of the industrial production of pesticides in the USSR. In subsequent years, the Institute has achieved a number of scientific and industrial work. Thus, in particular in the 60-ies of the last century was organized experimental-industrial production of original domestic insecticide to combat filoxera vines – Hexachlorobutadiene, which is obtained by chlorination of n-butane in a fluidized bed of catalyst in a single reactor with two zones of temperature. As the catalyst used quartz sand. On the basis of trichlorophenolate of copper in VNIIKHSZR was developed by the drug complex action – fentiuram, which was widely deployed in 1970-1971. For weed control in rice crops in 1969 for the experimental production of the Institute has started the production of the drug “propane”. This drug is obtained according to the original scheme of interaction of 3,4-dichloroaniline with propionic acid with azeotropic Stripping of water. In 1977 on the experimental production of VNIIKHSZR was mastered the production of drug tetral for weed control in crops of onions and garlic, cabbage and flax, as well as preparation “Karakol” to combat wild oats in wheat. Development and production of VNIIKHSZR have been repeatedly awarded at various levels. In particular, v1983 year the drug is “carotid” – a universal antiseptic and fungicide – awarded a Bronze medal VDNH and medals “Golden spike” at the International exhibition in Czechoslovakia. Also this drug in 2002 at the International exhibition “khimekspo” FGUP VNIIKHSZR was awarded an Honorary diploma “For the uniqueness of the development of new domestic antiseptic “carotid”. In 2006 at the IX International salon of industrial property “Archimedes 2006” FGUP VNIIKHSZR was awarded a silver medal for the development of the drug “Antiseptic “carotid” 98% protection of non-metallic materials from bio-corrosion”.